Faik Oztrak, the spokesperson of the main opposition Republican People’s Party (CHP), claimed on Friday that the ruling Justice and Development Party (AKP) and its far-right ally, Nationalist Movement Party (MHP), were deliberately trying to slow down the recounting of votes in Maltepe district of Istanbul. 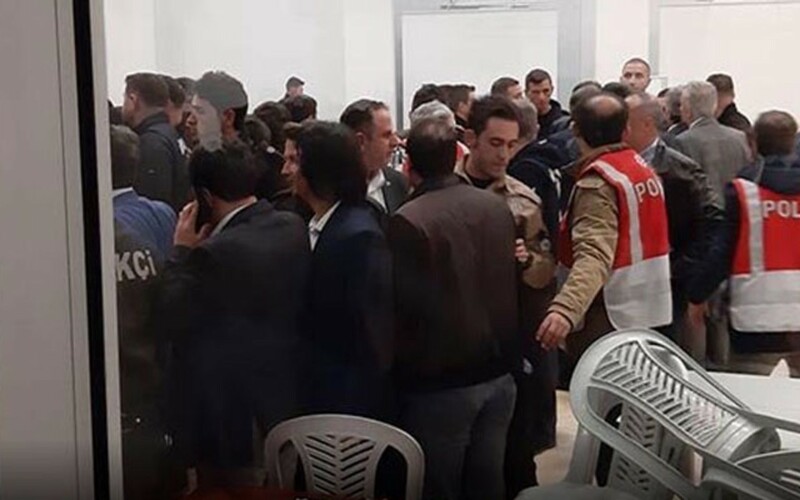 CHP’s allegation came after an incident during the recounting process in Maltepe district. According to Baris Yarkadas, a former CHP lawmaker and journalist, a group of AKP and MHP members entered by force into the hall, where the recounting was taking place, and attempted to halt the process, when the district electoral board decided to increase the number of recounting teams, in a bid to accelerate the process. Yarkadas went on to claim that the group had explicitly threatened the judges, who were heading the recounting team. In his social media account, Yarkadas asked: “Why do not AKP and MHP want votes to be counted? What is the point in saying – We did not know that the number of teams to count the votes would be increased – while even the media already knew that”? The counting was halted after police intervention, as the argument that broke out between two opposing groups turned into a conflict. The judges in charge recorded the incident with an official minute. Recounting process, this time with twenty teams instead of two has started again early on Saturday morning. According to unofficial results of the March 31 polls in Istanbul, CHP’s mayor-elect Ekrem Imamoglu won the run for the metropolitan mayorship. AKP repeatedly appealed the election results in Istanbul, asking for recounts of all votes. The Supreme Electoral Council (YSK), however, rejected AKP’s demand for a total recount and ruled, instead, a partial recount on Tuesday. Later, AKP resorted to an extraordinary objection process before the YSK, appealing for a re-run of the Istanbul mayoral elections. In a bid to make a re-run possible, AKP has been trying to prove widespread voter fraud in Buyukcekmece district of Istanbul. The YSK has not yet ruled on Buyukcekmece. Hürriyet daily news reported on Thursday that the YSK has, for the second time, delayed reviewing and announcing its decision on AKP’s numerous appeals to annul the elections in Buyukcekmece. In its meeting on Wednesday, the council decided to postpone its ruling for Buyukcekmece until the district election board finalizes the ongoing votes recount in the Maltepe district of Istanbul. CHP spokesperson, Oztrak, said he finds YSK’s attitude of continuously delaying the process suspicious. He believes the attitude will result in AKP’s push for total cancellation of the election in Istanbul province. He called on the YSK to immediately finalize the recounting process in Maltepe. According to recent reports from recounting stations, AKP’s Binali Yildirim is more than 13,000 votes behind his rival, CHP’s Imamoglu.